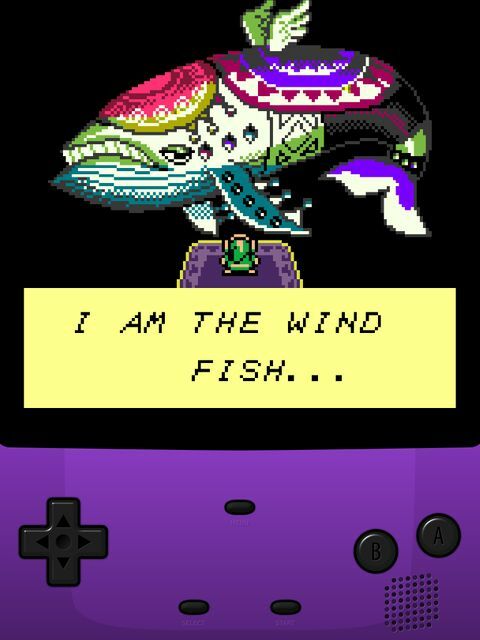 So I finally get to meet the wind fish. Hear he is in all his glory. I am super excited, but a part of me hopes that it will turn out the island is real, and not just a dream... I want to visit my friends and explore the island! I want to dive with mermaids and throw stones at monkeys... Wow this game was strange.